We’ll get you up and running…fast! There was a time when implementing fleet technology took months. Not with FleetCommander. We can have you up and running in days or weeks, not months. We’ll import your data, configure the system to maximize your return on investment, train you with our online web conferencing tools, and follow-up with you to make sure it’s running like a finely tuned machine. The FleetCommander team has successfully launched our solution in organizations across virtually every industry and environment. We are dedicated to getting to know customers on a human level, and we are well-known for going the extra mile to help you get up and running. We understand that technology alone will not achieve your goals. We will help you communicate changes to your staff, recommend system configurations to maximize your return on investment, propose different approaches to transition from your old system to FleetCommander, and we’ll be there when you make the transition to FleetCommander. FleetCommander’s customer service and implementation teams use a sophisticated tracking system to ensure issues are responded to quickly and efficiently. We have a robust library of implementation and integration tools as well as web conferencing capabilities to make your implementation effort quick and easy. In addition, FleetCommander has the best software reliability reputation in the business with zero software downtime over the past 60 months. 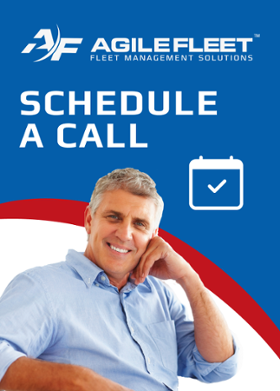 FleetCommander is your fleet’s online website. That means it features your logo and unique messages, and is highly customizable to support the policies and rules of your unique fleet. There are hundreds of configuration settings that make FleetCommander do what you need it to do, no custom work required. But if you do need a custom capability, just let us know. We can also create custom functions exactly to your specifications. Having all of your fleet data in one place is invaluable when you need to analyze the fleet or create reports. FleetCommander currently interfaces with more than 100 external systems. The FleetCommander system is very flexible and capable of being integrated through a variety of mechanisms, including accounting systems, human resource systems, other fleet systems, risk management systems, automobile manufacturing systems, fuel systems, and more.